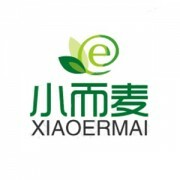 Shenzhenshi xiaoermai import and export trade co.,ltd., founded in 2013, is located in shenzhen special economic zone, guangdong province, is a design, development, production, sales, procurement, integration services for import and export trade co., ltd. Company business scope mainly for: wholesale and retail trade; Import and export of goods and technology import and export services. With rich experience, a strong professional team and high-quality professionals, the connections for the premise of long-term cooperation customers, growing the company development. At present, the company mainly involves digital electrical appliances, clothing, shoes and hats, leather bags, cosmetics, hair salon products, machinery and equipment, process gifts, and other products, for customers at home and abroad to provide the most professional, best quality, most thoughtful agent import and export trade business.